Memorial Day seems like it is the official kick off day for outdoor Summer family fun & picnics. No only do we remember those who have served but also remember and give thanks to those currently serving our Nation. Here are some of our favorite Memorial Day Recipes. If you are looking for an easy dessert recipe I have two for you. 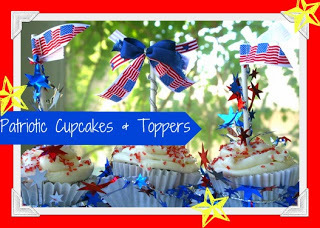 I made these Patriotic Cupcakes & Toppers for the Bowdabra Blog last year. 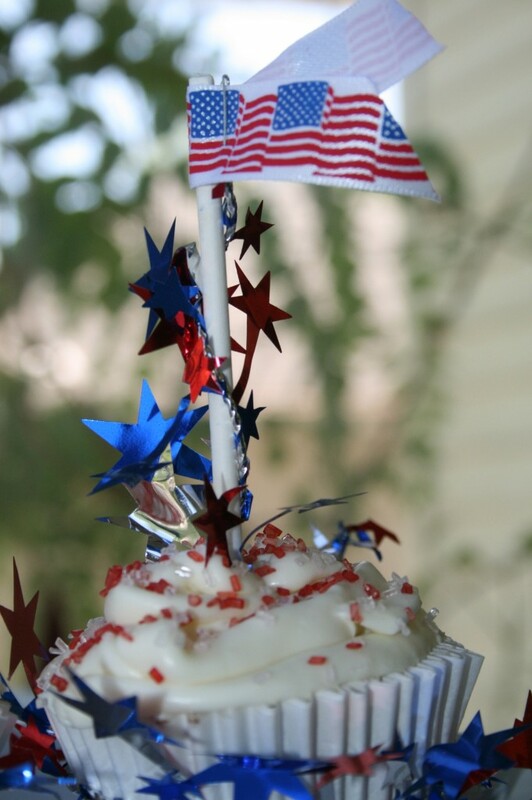 You can find the Best Ever Cupcake recipe here or use your own favorite cupcake recipe. The decorations are so easy to make and everyone will think that you spent HOURS preparing them. Let them think that! 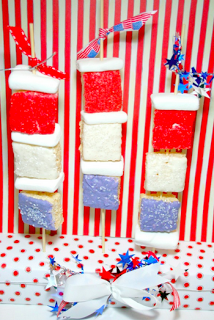 I also made these Patriotic Rice Krispy Kabobs which are INSANELY easy and no baking required. Again, super easy and people will be impressed with your mad kitchen skills. Great picnic recipe! Linking this up to OrgJunkies Menu Plan Monday. 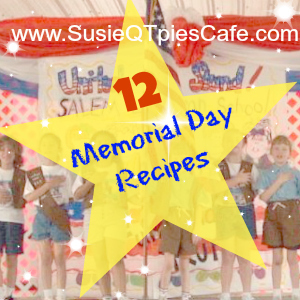 Thanks for sharing all the great Memorial Day recipes! Love them all! Visiting from the Bowdabra Blog Feature Friday! Thanks for linking this up in our Bowdabra Feature Friday post. Such tasty ideas! We can't wait to see what you share with us next! Stopped by from MPM. Cute Memorial treats! !